Growing up in a Greek household, I had my fair share of stuffed vegetables known as Yemista. 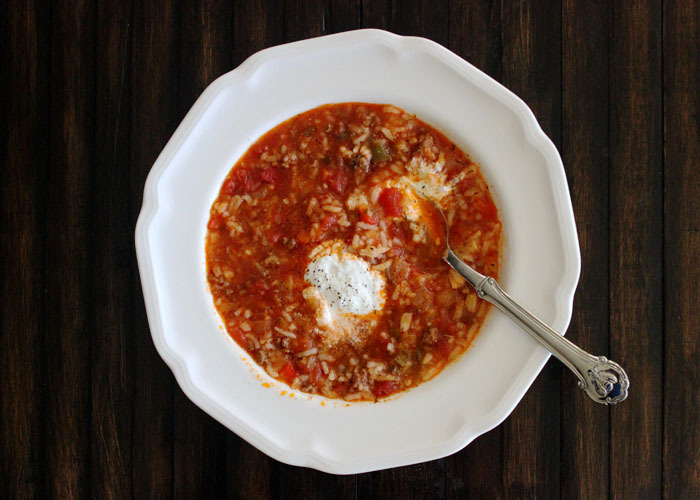 From the usual array of tomatoes, bell peppers and zucchinis filled to the brim with ground beef, rice and fresh dill, I always chose a steamy pepper and topped it with a heaping spoon of sour cream or thick Greek yogurt. This was (and still is) one of my favorite Greek comfort foods. 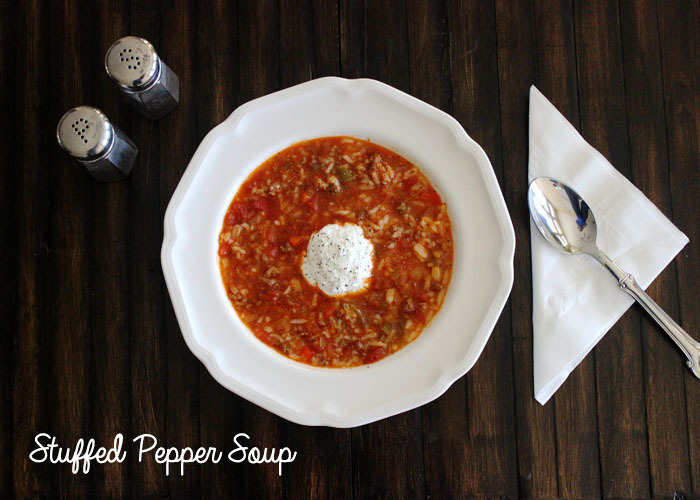 A few years ago, I made this soup for this first time and found a surprisingly similar flavor in a dish taking half the time to prepare. Adapted from a simple recipe I’ve made over and over again, the fragrant dill and plain, thick Greek yogurt of my mother’s traditional recipe make this soup a delicious variation of the Yemista I love so much. Brown beef in a large pot. Once browned, add the olive oil and season with salt and pepper. Add bell peppers, onions and garlic to pot and cook for 5-7 minutes or until onions are translucent. Add tomatoes, tomato sauce, chicken broth, dill and additional salt and pepper to taste. Cover and simmer on for approximately 30 minutes. Remove from heat and stir in cooked rice. Top with a dollop of sour cream or plain Greek yogurt in each bowl and serve. That looks really good! I make a similar soup with cabbage.